We Want to Hear Every Dish You Break! On this Sunday’s 1-Hour LiveCast YOU are our only guest! 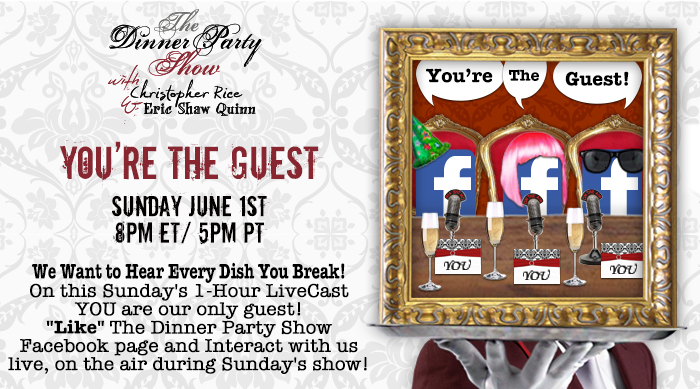 “Like” The Dinner Party Show Facebook page and Interact with us live, on the air during Sunday’s show!